I really can’t believe it is the first of July in a few days time. Half the year has gone in the blink of an eye! 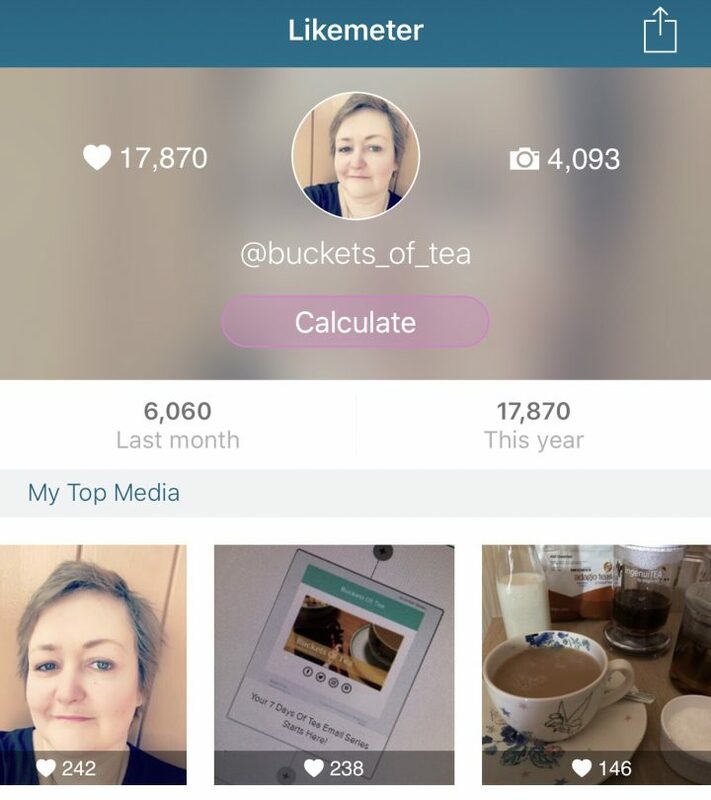 Promote your Instagram by sharing your most-liked photos. Do you meal prep? Share your go-to recipes. Review a book on your summer reading list. Compile a list of affordable wedding guest outfits. How do you organize a small space? Write a blog with photos. Document a DIY project wand share a tutorial. Host a guest blogger in your niche. Hold a summer-themed giveaway for your readers! Share 5 summer fashion tips for the office. Write a blog on your summer travel tips! 10 songs on your summer playlist. Upcycle a piece of furniture and share a tutorial. What are your summer beauty essentials? It’s National Picnic Month! Post a picnic-themed recipe. 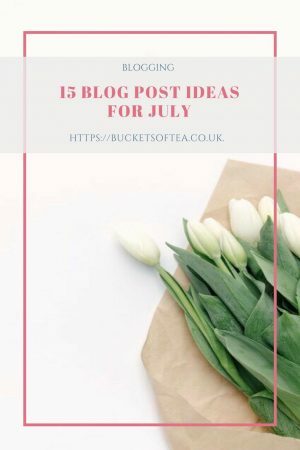 Heads up, I will certainly be using some of these ideas for blog post in July. If you are a regular reader you will know that I post each month my top nine viewed pictures on my Instagram feed. In order to find out which my top nine photos are I use a free app called likemeter. It’s only compatible with iOS 8.0 or later on iPhones, iPads and iPod touch. I find writing theseposts a lovely way to be able to look back on memories and often find it interesting and someyimes quite surprising which phots are popular. I am also currently writing a post on summer travel tips which further expands on an exclusive list of travel tips which is available as part of being a member of the Buckets Of Tea Club. 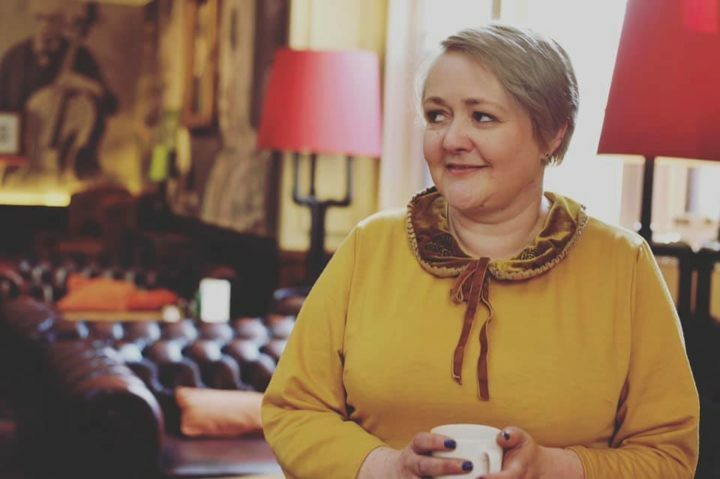 Depending upon when you joined the Buckets Of Tea Club you may not have had this post yet but I know those of you who joined prior to the GDPR rules coming in to force on the 25 May certainly have. If you aren’t already a member there is a link to sign up in the side bar. There are currently 4 download welcome gifts for joining (the form say 3 but there is an extra one in the welcome pack). I am also working on an exclusive resources page just for members too. Another post I am hoping to get finished for July is a DIY tutorial, the post is written but I need my father to come so I can take photographs of the process of making the item. It’s pretty easy to do and doesn’t require too many DIY skills, it’s just I have rheumatoid arthritis and carpel tunnel in both my wrists and I physically can’t use the staple gun! Hence the step by step photos needing my Dad! It’s an interior based project and I have a few other simple ideas to maybe add to a series on interior decor projects toenable you to bring custom made and exclusive projects in to your home. The other post I’m working on invloves my all time favourite activity; afternoon tea. I went to a themed afternoon tea in April and on the way home it got me thinking about a homemade version. It will be a two, maybe three part post series and will include a review of the afternoon tea, then one maybe two posts with recipes and a themed competition. I’m just waiting for two more items for the giveaway to be delivered and then we will all be set to go. Obviously it will involve tea but there are some other lovely things incluing some mugs, 2 books, 2 DVDs and three adorable notebooks (I was so tempted to keep these!) plus some other items. Fancy some more inspiration for blog posts? 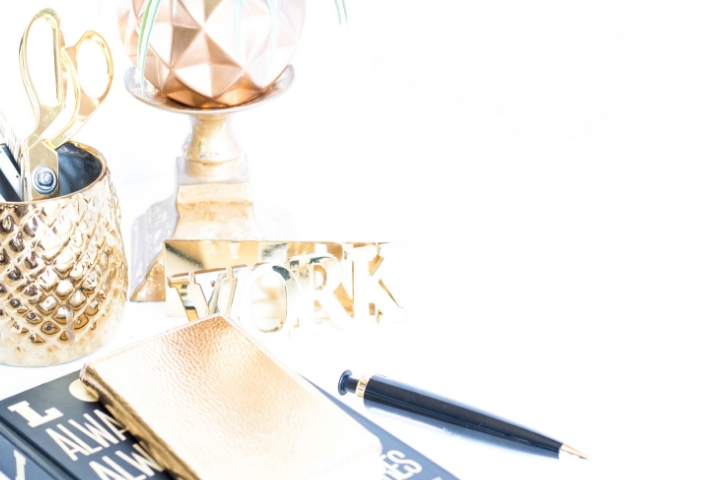 Do you want to get ahead in the blogging game? 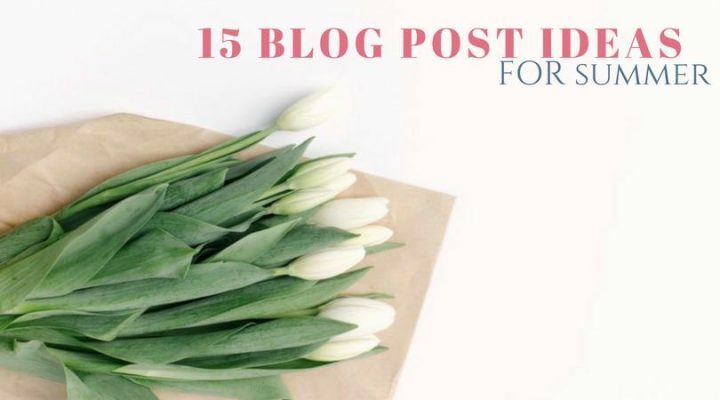 Here are a further 15 Summer blog post ideas!